- note - if parents provide payment to Bill Marck on or before Monday, October 8th, they can avoid shipping charges as there will be a bulk order placed. This order will guarantee delivery for kids that want to wrestle in the late November events. Another bulk order will be placed Monday, November 5th for parents that want to wrestle in the mid December events, however, there is no guarantee uniforms will arrive on time. Parents may also order online after October 6th independently; instructions will be provided on how to do this later. 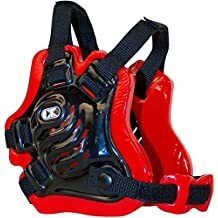 - sizes for either singlets or fight gear are based on wrestler's weight, if your child is within 5 pounds of the next size, then we recommend purchase of the next size. Weigh your child on a scale, re-enter your DYS registration online, and make your weight correction accurately so to ensure proper orders. - size chart for fight gear and singlets for the NVWF regular team and the Travel team. Parents merely record their kid's weight in the registration database and the uniform type desired (singlet, fight gear, or both). Club coaches will then use the weight to order sizes in bulk orders. If kids are older then coaches may select the next size up if kids are within a few pounds of that size. Uniforms are very elastic. Note that weight ranges do vary for different apparel items. The size is automatically calculated online based on weight. Fits all kids sizes but it curves for small heads too. ASICS for kids very inexpensive and good for small heads. - Knee pads to protect knees from "skinning"